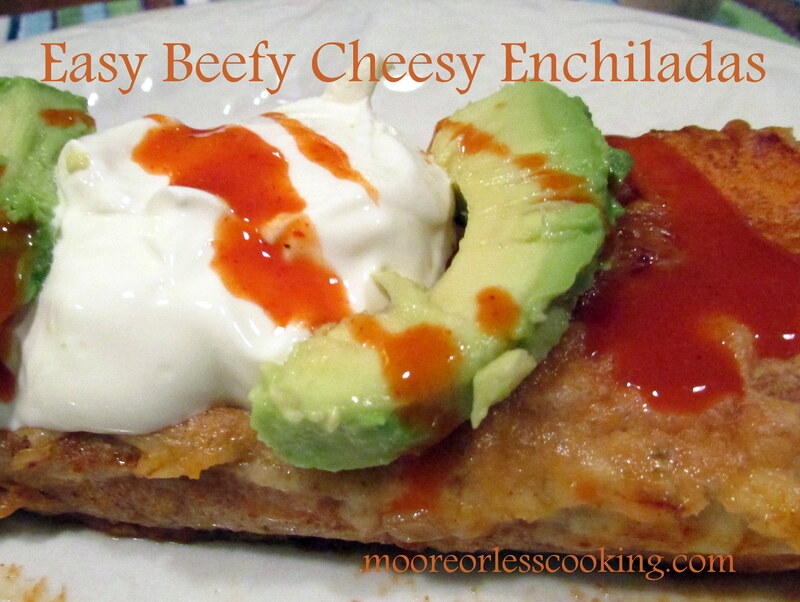 Enchiladas are an easy delicious meal. There are endless options for the fillings.Use chicken, pork, beef, vegetarian, the combinations are endless. Today, I have made Easy Cheesy Beef Enchiladas with Ground Beef, Onions, Green Chiles and Olives. My kids ate them up very quickly. Yes these are always a big hit. I always make a double batch just for that reason, they go very quickly. Serve with a side of brown rice, refried beans and a Mango Margarita, ARRRIBBBA! This is an easy recipe that the whole family will love! I get requests from my kids to make this all of the time! Heat Olive oil in a saute pan, add chopped onions, saute until soft about 2 minutes. Add ground beef cook until brown, drain fat. Add one can Enchilada Sauce, 1 cup grated Cheese, Olives and Chiles to the onions and meat mixture. Spread 1 tbsp. of meat mixture to the middle of a tortilla. Place tortilla seam side down and repeat step 5 until all of the meat mixture has been used. Pour ½ can Enchilada Sauce and ¼ jar mild salsa over the tortillas. Add ½ cup cheddar cheese on top, covering the tortillas. Bake at 375 degrees for 20 minutes or until bubbly and golden. 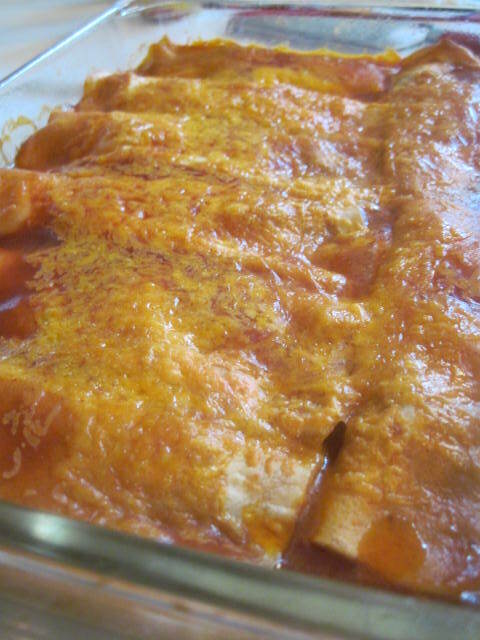 Hello NettieThanks for the beef enchiladas recipe.I'll create one for sure, my kids are gonna like it :)If you don't mind, can you submit your beef enchiladas photo in http://www.foodporn.net ?It's a food photography site full of all DIY food pictures from members around the world. Or perhaps you'd like to submit by yourself? Let me know when you did, so I can share it. what size are the “small” enchilada sauce and what size jar of salsa? Arrrribbba! nettie this looks so lip smackin delicious!